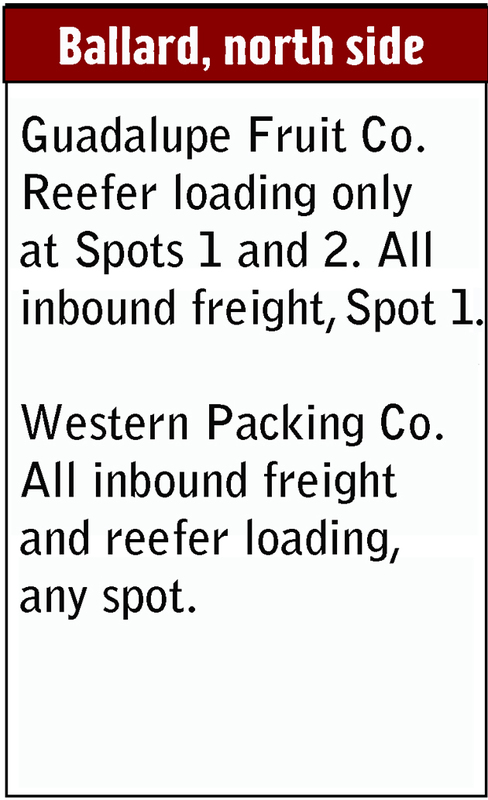 A “sure spot” is a specific car location along a siding, or within an industrial plant, at which cars must be spotted. 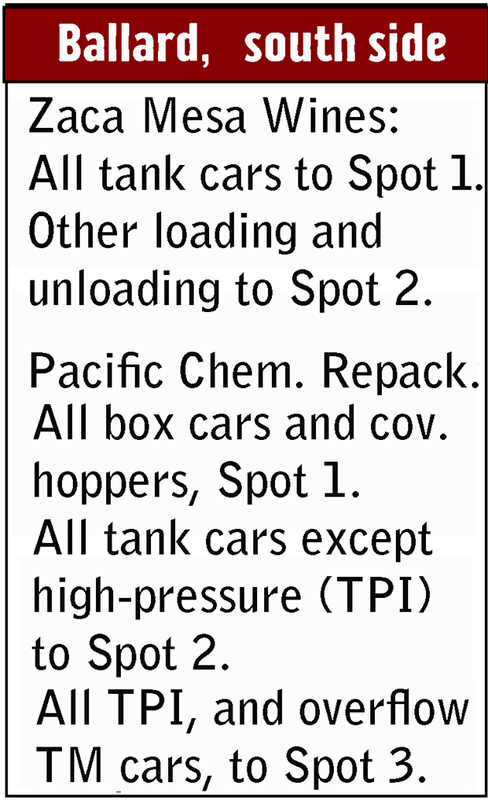 This can range from a particular warehouse door for a particular commodity (whether loading or unloading), to various requirements for specific unloading capabilities, such as tank car top-unloading, or covered hoppers, or even coal hoppers to be spotted above specific pockets on a coal dealer’s coal trestle. 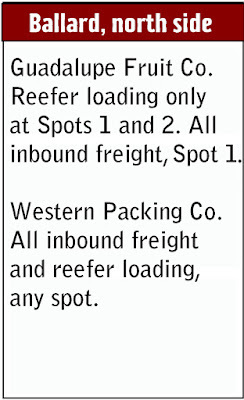 As I’ve pointed out before, these spots are sometimes called out in waybills, particularly when a shipper regularly ships something to the same consignee — they will have communicated about how the cargo needs to be handled at destination. 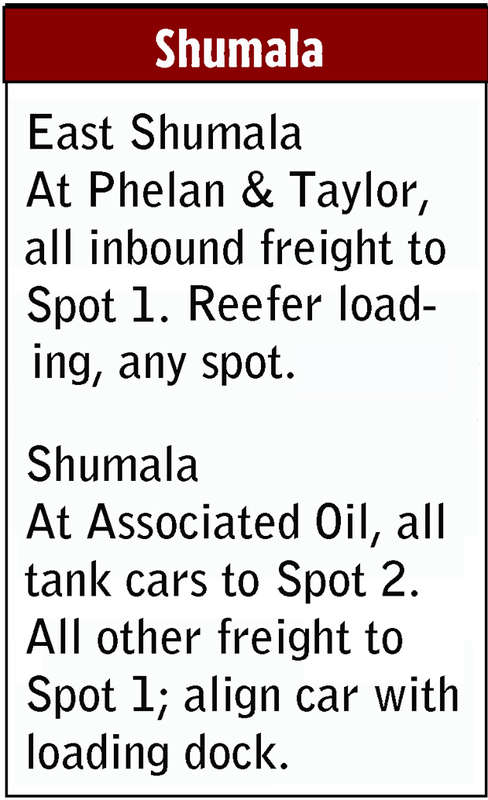 Or the local agent may know what is needed, or the local train crew may already know from experience where certain cars are spotted, or a warehouse foreman may tell the switch crew what is wanted. I’ve discussed these points in Part 2 of this series; you can retrieve it at this link: http://modelingthesp.blogspot.com/2017/11/more-about-operating-with-sure-spots.html . 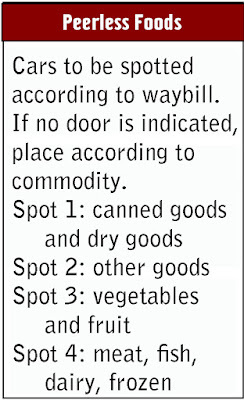 In the present post, I want to expand on the topic I introduced in Part 2 (just cited above), about the use of “information cards” so local train crews know a little of what a prototype crew would know from experience. I have prepared tentative cards for each of the areas where crews may need to have the information, but am not including any maps, because on my layout, crews already have that in their timetable. 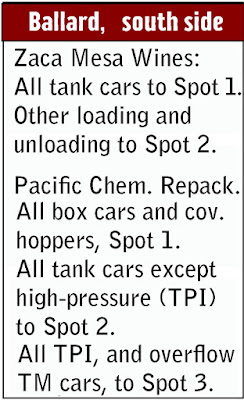 The corresponding card for the south side is a little more involved, as there are some complications to the spots for Pacific Chemical Repackaging. Lastly, I have designed a separate card for Peerless Foods. 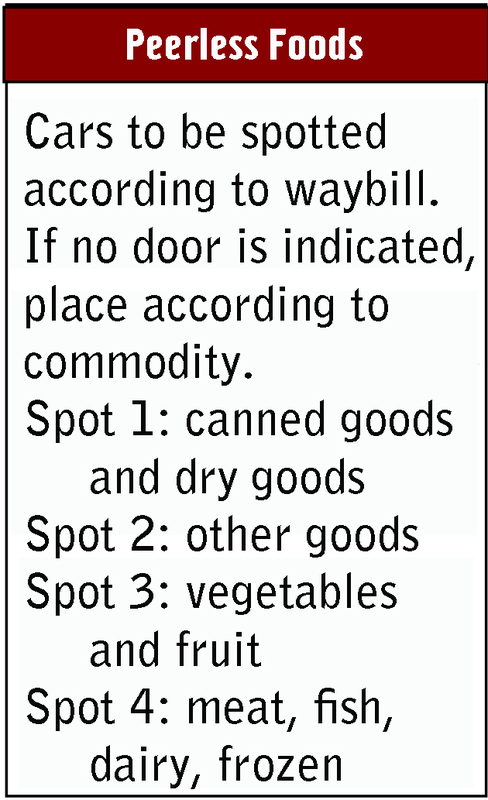 Most waybills for Peerless in my system do specify door spots, but not all, so the description of the car’s cargo can be used to determine the correct spot, with the aid of this card. These will be tried at the next operating session on my layout. I hope they prove as helpful and thus successful as the ones Al Frasch uses. The Frasch design, of course, is the basis for the cards shown in this post, and I thank Al again for both the inspiration and for permission to use the idea. Ballard looks like a pretty busy place! 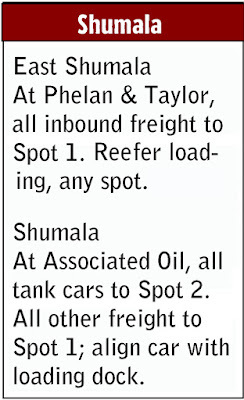 Do these cards get issued to the crews to carry along with the train, or are they simply left in a box at the station where the industry is located? Yes, Ballard switching can be a big job. I don't know the answer to your question, because we haven't operated with these yet! But Al Frasch puts his cards at each town, and probably I will do the same.